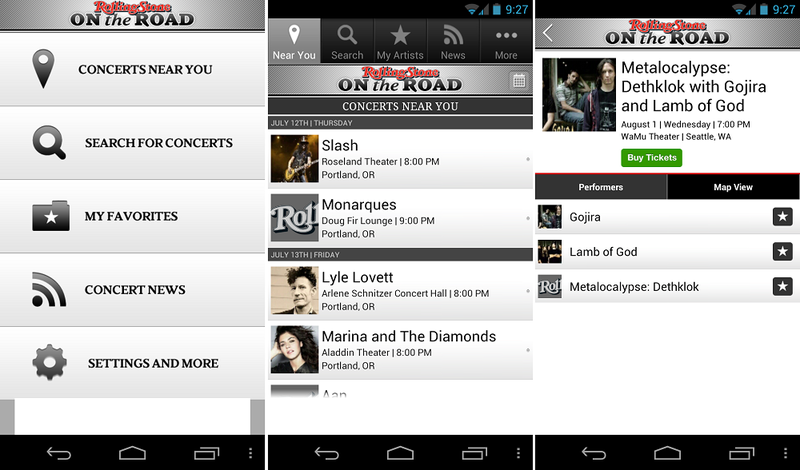 Rolling Stone has pushed a new application to Google Play and if you’re a concert-going rocker, it’s going to be perfect for you. The app is extremely basic and there’s nothing too pretty about it. You can choose to search for concerts based on your location, search for your favorite artists, and also look up general concert news straight from the Rolling Stone website. I must say, thanks to this app, I now know to steer clear of the Schnitzer Concert Hall on July 13 to avoid the rabid Lyle Lovett fans. Thanks, Rolling Stone.